Could a network of probes be sent ahead of a mother ship to form a grid to lay a path for travel inside the solar system? After what certain speed anything larger then a stationary pebble could be bad if the mother ship runs into it traveling through space? Could probes be equipped with radar and laser back course adjustments to the mother ship over enough distance allowing ample time to make slight course adjustments to steer clear of hazards? Could a network of probes be sent ahead of a mother ship to form a grid to lay a path for interplanetary travel? Yes, but radar might not work because it's too hard to make narrow search beams. Laser search beams might be a useful addition.. Everything has to be nuclear powered to make the search beams powerful enough. Within the solar system you cannot really travel 'ahead' of a transfer orbit since it would have required you to have departed from a point in space ahead of the origin body (for example Earth) in it's solar orbit. It would be possible to fly approximate trajectories but they would be more costly in fuel. Bigger problem is that they will only warn of objects moving in similar orbits*, which are the lowest threats as they have low relative velocities. The higher threat objects are traveling perpendicular to your orbit and keeping multiple outriders in a ring would require constant thrust as they would not be moving in a true orbits, with wider coverage requiring more fuel to maintain. *a outrider ahead will potentially provide warning of a retrograde object but they are generally rarer than objects moving on eccentric but low inclination orbits. If object detection is considered important a better solution is to place one or more mapping satellites in the volume of interest and let them locate all the objects over time. This involves far less capability from the mapping platform and means they are continually useful, including tracking hazards to earth or your destination. Not the answer you're looking for? Browse other questions tagged crewed-spaceflight probe solar-system radar mother-ship or ask your own question. Where is the gravity generated on a spaceship in super fast space travel? Space travel in convoy, what are the pro's and con's? Is it pure luck that the voyager 1 survived to travel beyond our solar system in interstellar space? 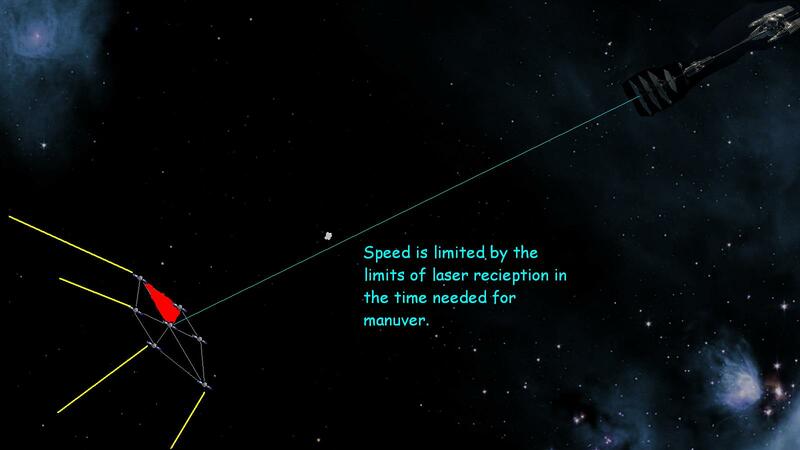 Is radar & passive radar significantly different in space? Where does space travel rank in per-passenger-mile safety? Why do some scientists want a moon base for further space travel? What are the advantages of a moon base if compared with an earth base?